William S. Levine received his Bachelor's, Master's and Ph. D. degrees from M. I. T. He is currently Professor of Electrical and Computer Engineering at the University of Maryland, College Park. Throughout his career he has specialized in the design and analysis of control systems and related problems in estimation, filtering, and system modeling. He has been, and remains, particularly interested in the application of these techniques and ideas to problems in biomechanics. He has published over 100 articles on these and related topics. He has supervised 22 completed Ph. D. and 29 completed M. S. theses. Several of these involved design and construction of control systems. He is the co-author of Using MATLAB to Analyze and Design Control Systems , published by Benjamin/Cummings, March 1992. Second Edition, March 1995. He is the editor of The Control Handbook, published by CRC Press (in cooperation with IEEE Press), February 1996. He is the co-editor of The Handbook of Networked and Embedded Control Systems, published by Birkhauser in June 2005. He is also the series editor for Birkhauser's Control Engineering Series. He is a member of SIAM, a Fellow of the IEEE, and a Distinguished Member of the IEEE Control Systems Society. He has been President of both the IEEE Control Systems Society and the American Automatic Control Council. He has also been Chair of the SIAM interest group in Control Theory and its Applications. He is a recipient of the IEEE's Third Millenium Medal. The Control Handbook was named best engineering handbook published in 1996 by the Assoc. of American Publishers. He and his collaborators received the Schroers Award for outstanding rotorcraft research in 1998 for their work on computer-aided design of rotorcraft control systems. He and another group of collaborators received the award for outstanding paper in the IEEE Transactions on Automatic Control for their paper entitled "Discrete Time Point Processes in Urban Traffic Queue Estimation." 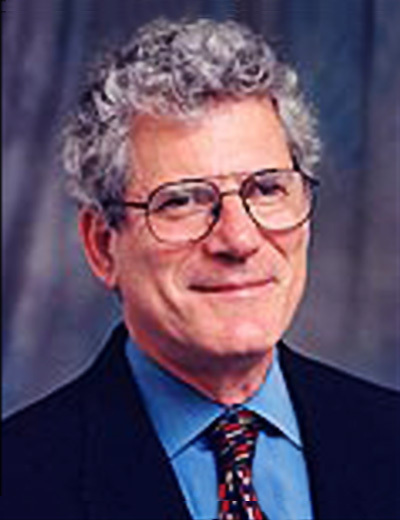 Professor Levine's research interests are in the areas of application of modern control theory to the study of the nervous system's control of movement and; control theory and its applications with emphasis on computer aided control system design; application of computers and computation to network control; and applications of modern control and estimation theory to biomedical and aerospace problems. Book garners largest number of downloads in Springer Engineering series. Students gather for a banquet dinner to honor their chapter and members. After 36 years of teaching, William Levine will continue with ECE as research professor. Levine book was the 29th best-selling engineering title in February. ECE alumnus, now with Lockheed Martin, co-authored a chapter on GPS. ECE Professor William Levine is the co-editor of a new book on control systems.